Thanks I enjoyed my stay at Navasota Artists and Residence in 2017. Thanks to the city of Navasota and the Arts Council of Brazos Valley for giving artists a place to grow and develop. Thanks to everyone who stopped by the house. Special thanks to Doerte Weber for showing me the ropes and Jayde Archbold for pushing me in new directions. Well, I can paint. With Jayde Archbold, we installed this mural is a local school to brighten a hallway. Jayde lead the art direction, and I painted. We named the piece I Spy. That’s me at the open house, I’m on the right. 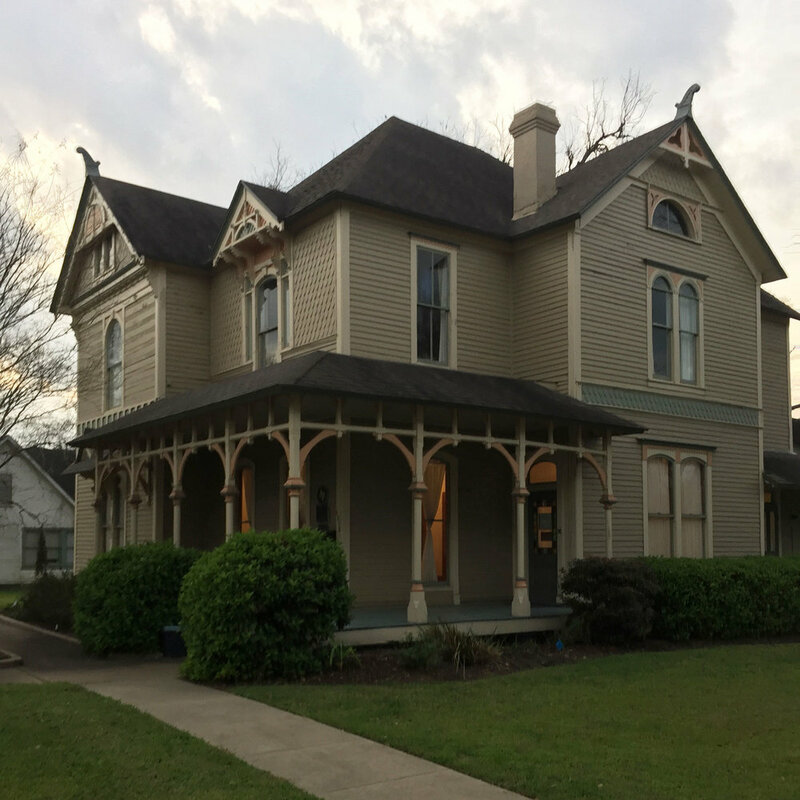 Art and history, I am taking part in the fall 2017 installment of Navasota Artists in Residence and will stay at the Horlock House for six months.